There'll Be a "Toy Story" Short With "Cars 2"
Despite talk that "Toy Story 3" had put a definitive end to the franchise (talk we never understood, frankly), we'll be getting at least six more minutes of Buzz, Woody and the gang. 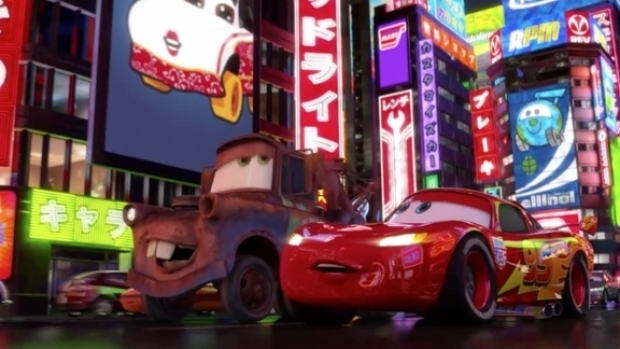 A "Toy Story" short titled "Hawaiian Vacation" will be shown in theaters ahead of "Cars 2," reported Entertainment Weekly, who also unveiled two photos from the film. "When Barbie and Ken bungle plans to stow away on a tropical excursion, Woody, Buzz & Co. re-create a romantic getaway in the toy box," is how EW describes the plot. We will gladly continue to fork over cash for "Toy Story" films, even shorts, until they give us a reason not to. Lightning McQueen and Mater swing into action to save the world, battle spies, shoot and dodge missiles, and engage in all manner of nonsense.